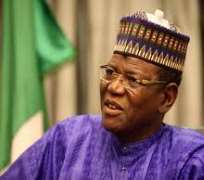 President Goodluck Jonathan on Friday denounced the Governor of Jigawa State, Sule Lamido, over allegation that he(Jonathan) refused to act on information that a serving minister recently collected a bribe of $250 million from an oil company. The President said the governor's charge against him was childish and baseless. The Special Adviser to the President on Media and Publicity, Dr. Reuben Abati, who spoke on behalf of his boss, said Lamido's allegation was absolutely without any foundation in fact or reality because no such communication had ever taken place between them. He was reacting to the allegation reportedly made by the governor in a radio interview on Thursday. He said the allegation was a calculated attempt by the governor to call to question the seriousness of Jonathan administration's efforts to curb corruption. Abati said, 'We abhor Governor Lamido's descent to the unscrupulous, reckless and thoughtless peddling of arrant falsehood in a puerile effort to score cheap political points against President Jonathan for personal and sectional political gains. 'If, as he claims, Alhaji Lamido has credible information about a minister receiving the said amount as bribe, he should publicly name the minister involved without delay and provide evidence to support his allegation. 'In the event that he is unable to do so, he should be prepared to offer an unreserved apology to the President and Nigerians for his unwarranted and unjust effort to denigrate, disparage and malign the President and the Federal Government. 'While the Jonathan Presidency will continue to make corrupt public officials answerable for their actions, it will not succumb to harassment and blackmail by self-seeking politicians jostling for personal advantage'. Coincidentally, two of the governor's children were on Friday apprehended by the anti-graft agency for laundering Jigawa State money valued at about N10 billion.